Tuscany, Umbria, Venice. The romantic places of Italy have been richly captured in oil paintings and drawings by Edwin Kayton, Big Island resident artist and frequent Mediterranean traveler. Kayton will appear in person 4-8 p.m. Saturday, Feb. 23 at Wishard Gallery in Queens’ MarketPlace to share his enchantment with what he calls the ‘extraordinary light and lifestyle’ of Italy. Kayton is also a student of Hawaiian culture and art, which he expresses in numerous works that celebrate hula, the paniolo, spectacular landscapes and more, over the last 30 years. Joining Kayton for the complimentary wine and pupu reception Feb. 23 is gallery owner Harry Wishard, one of Hawaii’s best-loved painters. These esteemed gentlemen artists will be available to meet visitors, answer questions and talk story with art lovers from near and far. 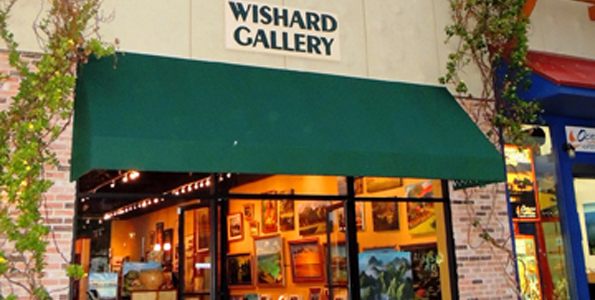 Known for realistic landscapes that capture the allure of Hawaii’s beaches, forests, waterfalls and mountains, Harry Wishard recently opened his second location in Queens’ MarketPlace, where he’s been painting almost every day.